It's time to light the lights! Here comes the very talented Muppets to the Minimates line! 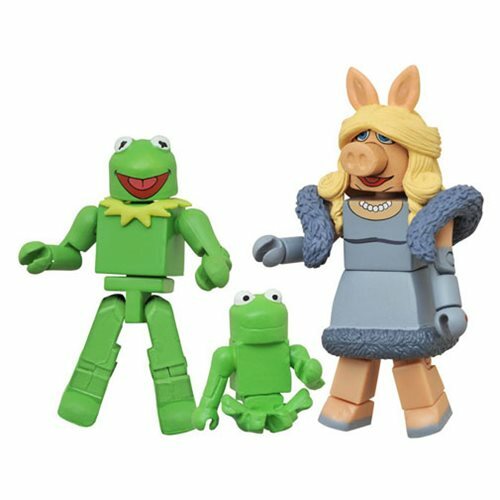 This Muppets Minimates Series 1 Kermit and Miss Piggy 2-Pack features 2 of the Muppet Show's greatest stars as utterly adorable 2-inch tall Minimates mini-figures. Each Minimates mini-figure features up to 14 points of articulation, as well as interchangeable parts and accessories. Each 2-pack is packaged on a full-color blister card. Ages 8 and up.